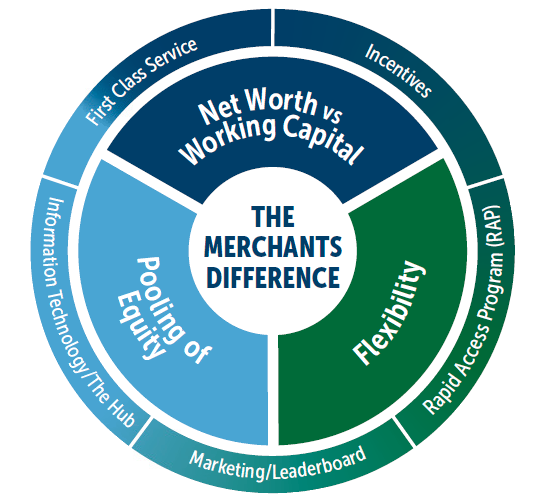 Net Worth vs Working Capital - Primary focus on net worth when establishing surety credit. Pooling of equity - Value placed on both business and personal equity to establish surety limits. Flexibility - No credit model or inflexible formulas used to underwrite. Each account is looked at on its own merits. Merchants Bonding Company is unique in the surety industry focusing exclusively on surety bonds for more than 80 years. Merchants is ranked among the top 15 surety writers in the United States by the Surety & Fidelity Association of America (SFAA, Q3 2018) and has been rated "A" (Excellent) or better for 60 consecutive years by A.M. Best. Want to learn more about a long-term successful partnership with a surety you can trust to do it right? Inquire here.